A newly released analysis of federal data found that student debt levels increased most among affluent students in the four years before 2016. One reason, according to the report from the Manhattan Institute, is that wealthy students tend to choose pricey colleges. And these students and their families "are usually better placed to take advantage of the arbitrage opportunity offered by federal student loans -- i.e., borrowing at subsidized interest rates and investing any cash that this frees up in a higher-return investment, such as retirement savings." Borrowing increased during the four-year period for students across all income categories, according to the report, which was funded by the Lumina Foundation. And while high-income students are less likely to borrow to attend college, they tend to borrow larger amounts than other students. And those amounts are increasing more rapidly. 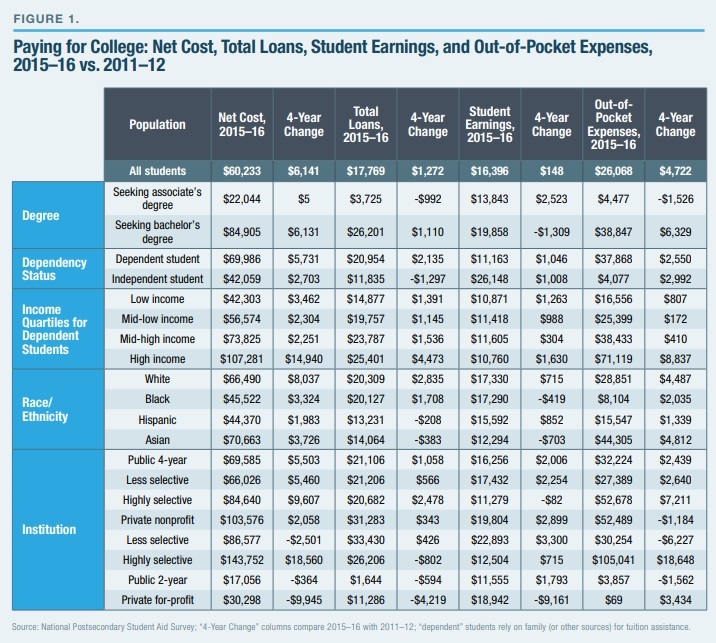 The analysis found that in 2015-16, students from households with annual incomes of at least $120,000 borrowed, on average, an estimated $25,500 over the course of a bachelor's degree program, up by $5,000 from 2011-12. These students borrowed about $10,500 more than students in the lowest income quartile (below $30,000), a $3,000 increase in the $7,500 borrowing gap from four years earlier.